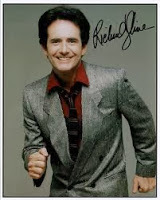 I had the absolute honour of being able to interview Richard Kline for my blog. Richard played the character of Larry Dallas, the sleazy used car salesman and best friend of Jack Tripper (John Ritter) on my favourite sitcom, Three’s Company, and when I heard he is about to star in a Broadway production of All That Glitters, about Liberace, I fired off an email asking him for an interview. I was overjoyed when he replied to say I may send him questions – many people don’t bother to reply – and was even more happy when I actually did get answers to my questions. The mark of a gentleman is to stick to your word and treat everybody with respect. So it’s with extreme gratitude that I can bring you this once in a lifetime piece. Larry Dallas may have had somewhat questionable morals on the show, but in real life, Richard Kline is a true gentleman, and a very talented one at that. And what an amazing opportunity as a fan to be able to ask someone things that you may always have wondered. You are about to star in All That Glitters, the story of Liberace, as Liberace! Liberace was a flamboyant character and the role will involve singing and playing the piano – how are you enjoying this multifaceted role? How did this role come about and how are preparations going? I auditioned for the role which was arranged by my agent. I have had interviews and a publicity photo shoot. I am also practicing the piano every single day! What specifically would you like to share about this exciting role? This musical charts the life of Liberace from boyhood prodigy, to mid-life extraordinary success , to the waning moments of his life and relationship with Scott Thorson–whose affair with Liberace was the subject of “Behind the Candelabra” on HBO. In the first part of the first act I play Liberace’s father and thus get to explore that toxic relationship which marked his early years. You’ve played in a variety of acting roles, and to have played in straight pieces such as Arthur Miller’s “Death of a Salesman” and numerous comedy parts shows your adaptability. I must confess to my own knowledge of Liberace’s highly coloured style of piano playing being limited, and I turned to Jean Collen, a respected Johannesburg musician, for assistance in preparing questions. She stressed how versatile she thought you were in being able to play such a variety of roles. What is your favourite medium – stage or TV, straight or comedy roles? My first love is the theater and I am at home with either drama or comedy. Comedy’s rewards are instantaneous–that is, if the audience doesn’t forget to laugh!! You made your Broadway debut at a comparatively late age in 1990 in City of Angels. Please tell us more about this experience – what was it like going on Broadway for the first time? It was magical. I played the role of Buddy Fidler for 9 months and enjoyed every minute of it. 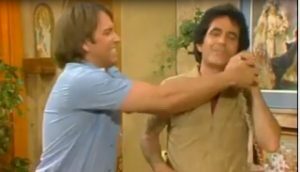 Larry Dallas has the distinction of being the only other character besides Jack Tripper to appear on Three’s Company and both of its spinoffs, The Ropers and Three’s a Crowd. How did you land the role of Larry in Three’s Company? I initially auditioned for a guest spot as Larry Dallas the used car salesman. The chemistry between John Ritter and myself did not go unnoticed and so they brought me back for more and more spots until I was offered a contract to be a regular the following season. Thankyou for your time Richard and all success for All That Glitters! Richard gives acting workshops in New York and I’d highly recommend that anyone who wants to get involved in acting checks it out. 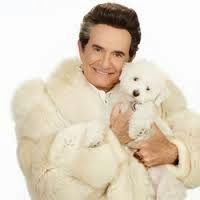 Go and see Richard Kline in All That Glitters. Related article: Amy Yasbeck wife of John Ritter (Jack Tripper) chats to us about The John Ritter Foundation for Aortic Health.